One common challenge couples have on their path to financial freedom is the plateau they encounter after they have optimized their expenses. They’ve switched providers, dropped necessary bills, and have regular check-ins to make sure they are getting the best deals. The initial rush of seeing their bills go down has passed. They want to do more and speed things up with their goal. Earning more money would be wonderful, but plenty of people don’t want to take on a second job just for money. Part of the reason they want to be financially independent is to have more freedom and time. They want something that gives them income, is flexible with hours and location, and maybe work they enjoy. Sounds to good to be true? Maybe not. Starting a side hustle can be a solution. For sake of clarity, think of side hustles as part-time entrepreneurship. You are building up an income stream on a service or product that you can provide with a limitted amount of time. It can be passive or you can devote some time for the projects. Some side hustles can become careers or full income streams, but for most they can be a nice boost in the budget. 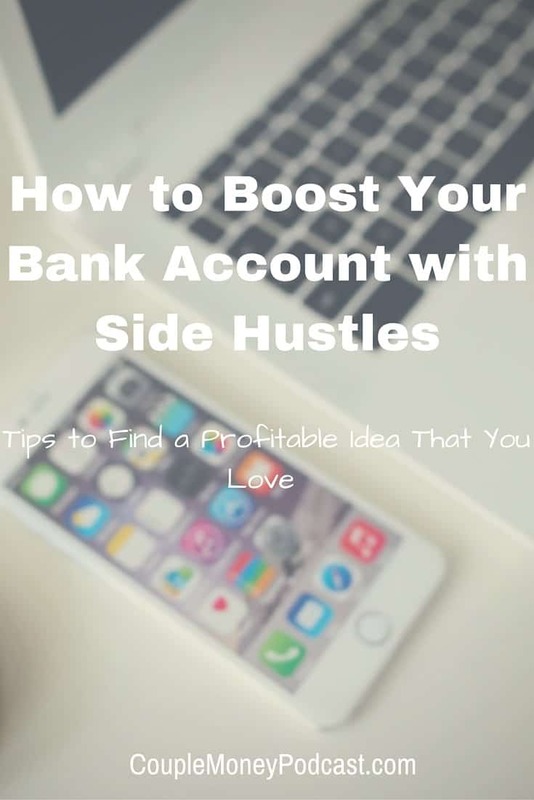 As wonderful as the idea of of side hustle is, the toughest part is trying to figure out which is the best fit for you. You may be looking at the list and seeing some ideas that jump at you. And that’s great. The next step is going from an idea to making a profitable venture. Jumping in is tempting – after all it’s just a side hustle – but it more often than not just leads you to wasting time and making no money. The name may throw some off, but treating it like a business and completing your due diligence can give you a huge edge. Once you clearly define both, you can considerably narrow down your options. Let’s start with you. What are your skills, strengths, and interests? Skills: What are you good at? If you are a software developer, for example, what languages are you a master in? Strengths: What are your advantages with projects? Are you a good organizer? Can you handle managing a remote team spread throughout the world? Interest: Or as the internet likes to say ‘What are your passions?’ If you’re still stumped, look at hw you spend your free time. You may have a hobby that could translate into a money making business. Write them all down. See if you can take the top picks in each category to find a niche that suits you. Now, let’s get inside your potential client. Besides being able to pay (I know you wrote that down! ), what do you know about them? What’s their biggest headache? What are they stressed over? Be specfic as possible. Take these two lists and create a list of three or so side hustles that fit your talents. Now for the fun part – starting and growing your business. The great news is that now is a wonderful time to begin. There are plenty of resources and opportunites out there to help you get up to speed. When I began a few years back, one resource that help me was Chris Guilbeau’s Unconventional Guides. Long story short – as he travelled the world he’s dedigned systems and guides (some times in collboration with others) to help people create location independent income streams. Another fantastic resource is Nick Loper from Side Hustle Nation. If you want to hear more check out the podcast and hear Nick openly share about what it takes to build a side hustle. He also shares some of his favorite productivity tools for work. I’d love to hear from you about your ventures. What side hustles do you run? How are they helping you with your goals?